9 Supreme Health Benefits of the Chlorella Alga! - Something New Everyday! Home Unlabelled 9 Supreme Health Benefits of the Chlorella Alga! 9 Supreme Health Benefits of the Chlorella Alga! Some 60% of chlorella’s entire make-up is protein, with all nine amino acids that are essential for the body being present. It also has an excellent Omega-3 to Omega-6 ratio, and offers a broad range of essential vitamins and minerals, such as vitamin C, iron, vitamin B12 and beta-carotene. Heavy metals, such as cadmium and lead, as well as other toxic compounds, can be extremely harmful for the body. Chlorella has the ability to bind these together and expel them from the body, and this is down to its chlorophyll and vitamin B12 content. Together, these produce glutathione, which is a powerful antioxidant that guards the body against toxicity and disease. More studies need to be conducted in this regard, however existing research has indicated that chlorella can boost the immune system. 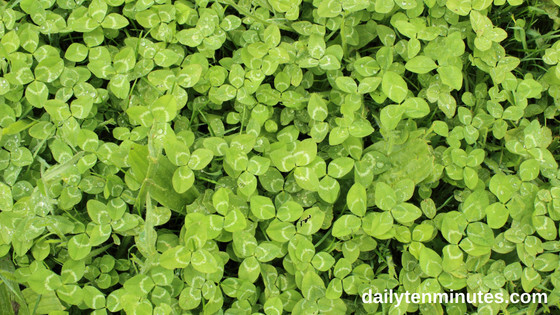 Nuerous studies have been conducted using five to 10-gram chlorella supplements on patients. This was shown to reduce the amount of triglycerides in their bodies, as well as their overall cholesterol levels. The niacin, fiber and catenoids, among other antioxidants that chlorealla contains, are believed to be responsible for this cholesterol-lowering effect. Various studies have indicated that the antioxidants contained in chlorella have the ability to lower oxidative damage to prevent chronic diseases. A 12-week-long study conducted on patients with high blood pressure saw the patients’ blood pressure levels drop significantly. They were administered chlorella supplements for the entire period. They don’t know for certain, but researchers believe that this effect is down to nutrients such as arginine, potassium, calcium and Omega-3. Daily chlorella supplementation may lower blood sugar levels and improve insulin sensitivity in both healthy individuals and high risk individuals within just 12 weeks, according to a study. 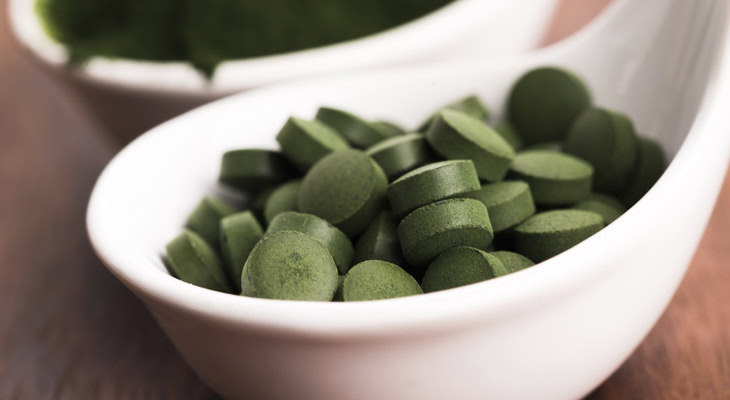 A study of the effect of chlorella supplements on lung function found that the ability of patients to saturate their lungs with oxygen was significantly improved after just a four-week period of taking supplements. Researchers think that this is down to a collection of three amino acids that have previously been found to improve aerobic performance. Respiratory diseases are usually accompanied by chronic inflammation. It is thought that the high levels of antioxidant and anti-inflammatory compounds found in chlorella can contribute toward improving the quality of life in those that suffer from asthma or other respiratory diseases. 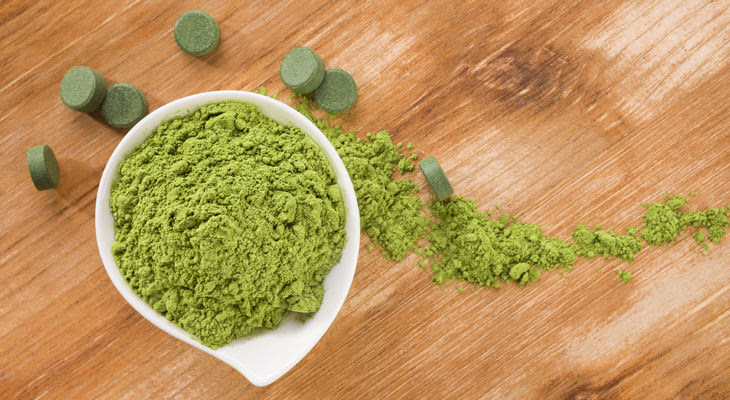 Chlorella should always be taken in either a supplement, powder or capsule form, as it has an incredibly tough cell wall in its natural state, which humans cannot digest.